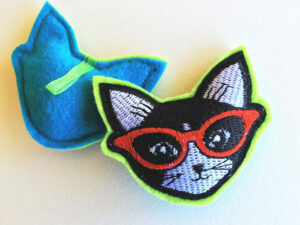 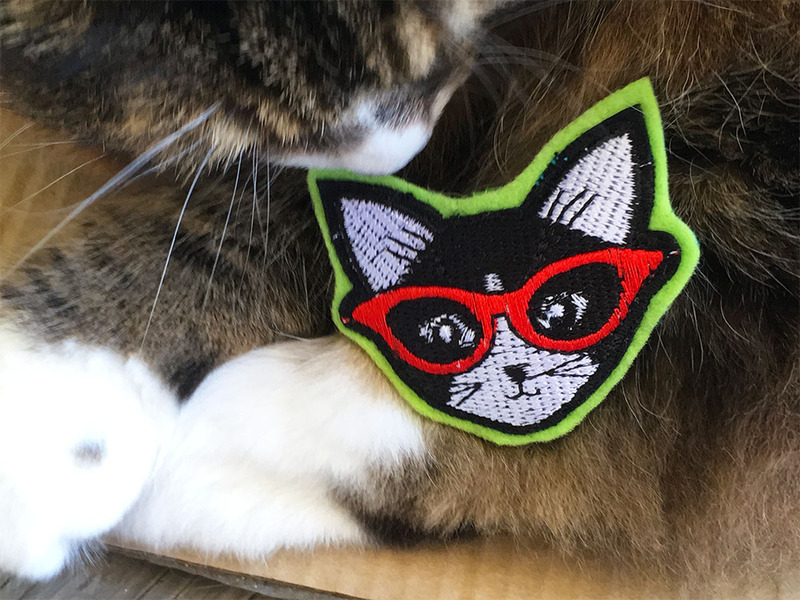 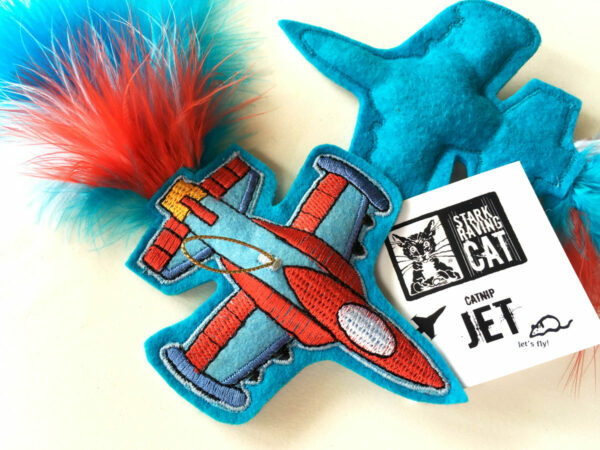 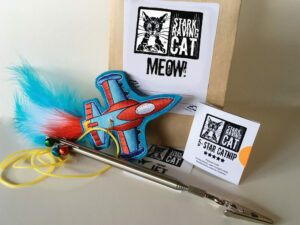 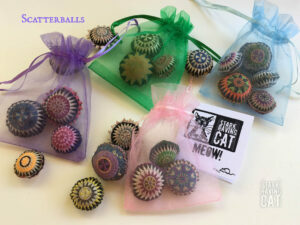 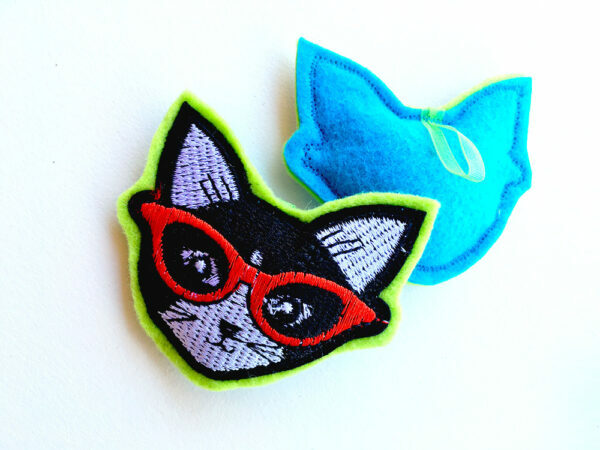 This Gift Set of Cat Toys comes in a fancy bag with our own Stark Raving Cat blank gift tag. 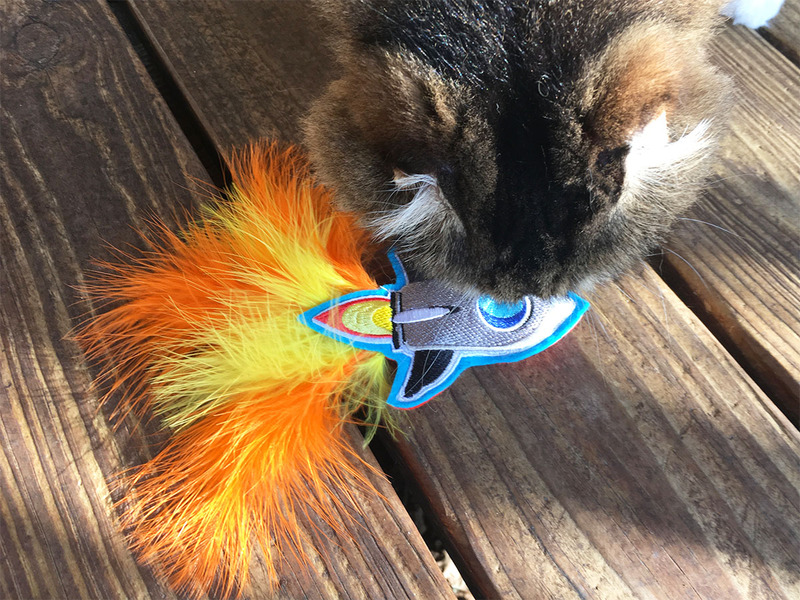 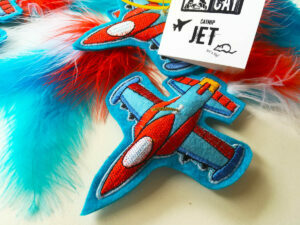 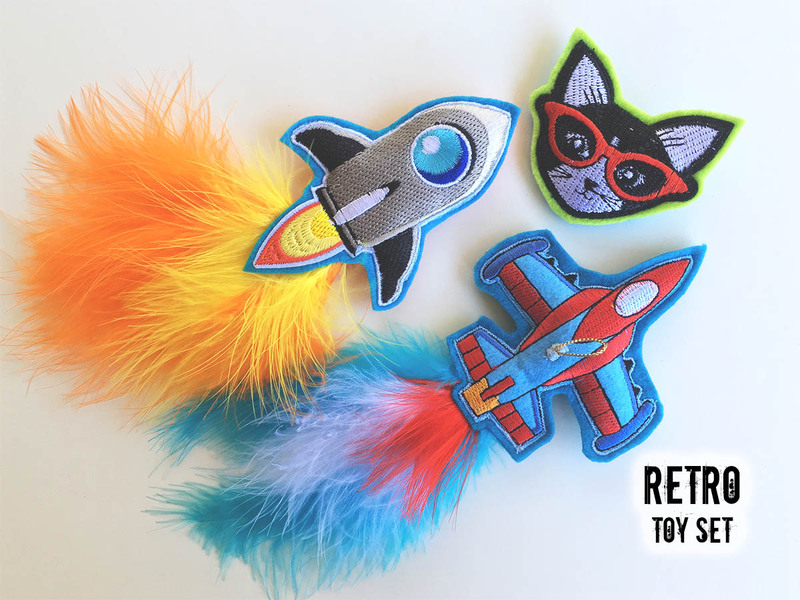 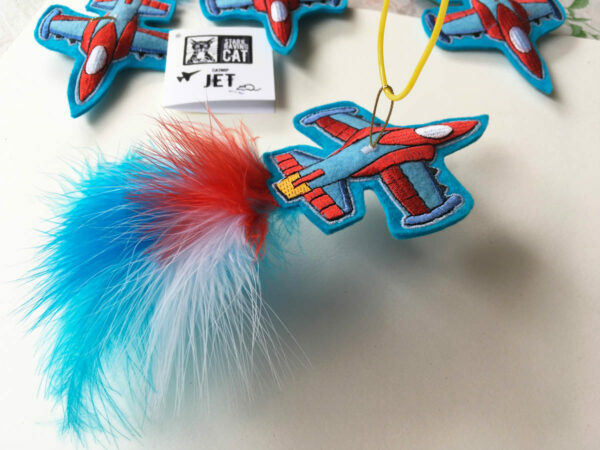 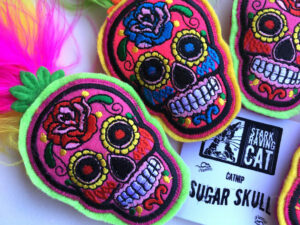 Each toy comes on cords with their own product tags, like “Cool Cat” or “Catnip Jet”. Perfect for Father’s Day or for a Cat Dad gift anytime. 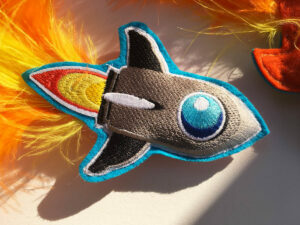 All the toys in the set are also available individually.